TV with Thinus: Working in a Warzone on the eNCA as a special once-off documentary this week, details TV reporter Yusuf Omar's visit to Syria. Working in a Warzone on the eNCA as a special once-off documentary this week, details TV reporter Yusuf Omar's visit to Syria. Working in a Warzone is a brand-new and special once-off documentary viewers are able to see this week on the eNCA (DStv 403) in which eNCA reporter Yusuf Omar documents the Syrian conflict through South African eyes. 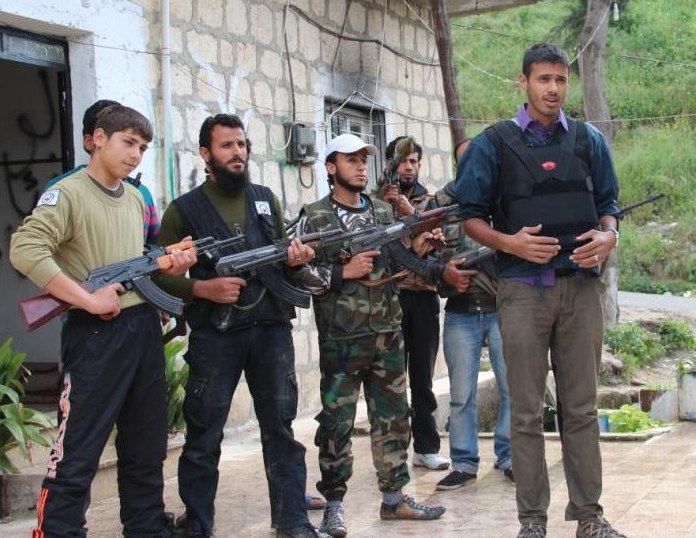 The 24 year old Yusuf Omar recently travelled across northern Syria, ducking mortar fire and meeting victims of the Syrian war while he shared meals with members of the Free Syria Army. Yusuf Omar accompanied the disaster relief group Gift of the Givers and kept the cameras rolling. Working in a Warzone can be seen this week on the eNCA on Tuesday (28 May) at 10:30 and 21:30, Wednesday (29 May) at 15:30, Thursday (30 May) at 09:30, Friday (31 May) at 12:30 and Saturday (1 June) at 09:30). 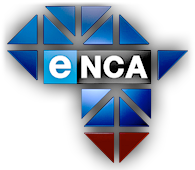 In a eNCA press statement the 24-hour news channel says Working in a Warzone offers a raw and personal account of what it takes to tell a story from the edge of a civil war and "gives unique behind-the-scenes insight into life on the ground in battle-ravaged Syria - with all its ruined cities, refugee camps and deserted schools." "Yusuf Omar's documentary introduces farmers-turned-fighters and their children who are caught in the crossfire." "There's nothing romantic about being a war correspondent. The only thing that keeps you sane is finding the moments of humanity in all the madness," says Yusuf Omar. Editor's note: Full disclosure - I HATE photos in which people can be seen holding guns. Nothing against weapons. However, several fictional TV shows and drama series issue publicity material in which stars are holding or pointing weapons. Those storylines are not about euthanising puppies. It's a tool for violence against other humans. Low-class (and often uninformed or oblivious editors) editors of celebrity, consumer and tabloid magazines shamelessly fall for it and use these photos - often soap stars in "dramatic" storylines - be media savvy and look out for it - you'll see it more often than you actually should. I've had several battles and heated meetings in the past 13 years at places where I've worked to not have an image of a gun in the hands of a soap star or NCIS hero or new e.tv local drama on a magazine cover or carried on inside pages. I believe it normalises violence. I had pages made over and guns cropped out. I'm publishing the publicity photo above only (and still with reservation) because its real people and not fake characters glamourising weapons, the guns speak to the core of what the documentary is actually about, and the photo illustrates some of the circumstances the TV reporter physically found himself in.